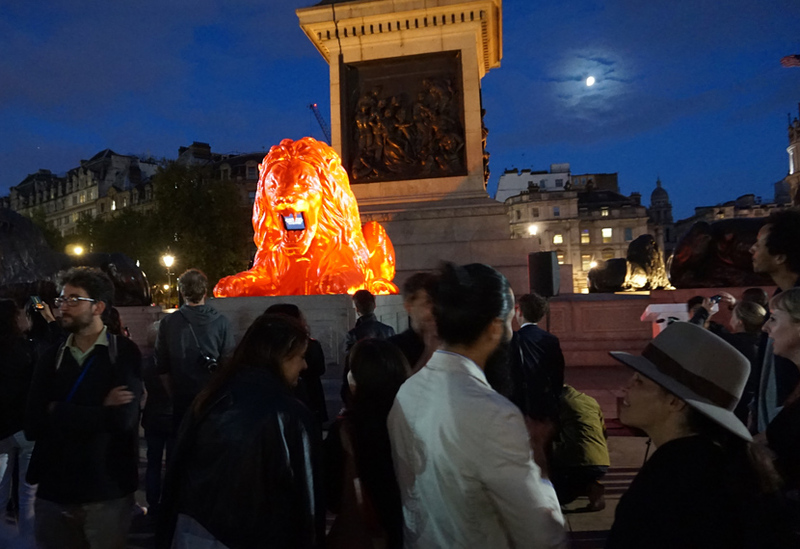 We worked with designer Es Devlin to deliver this dramatic, digitally interactive sculpture, one of six Landmark Projects for 2018’s London Design Festival. 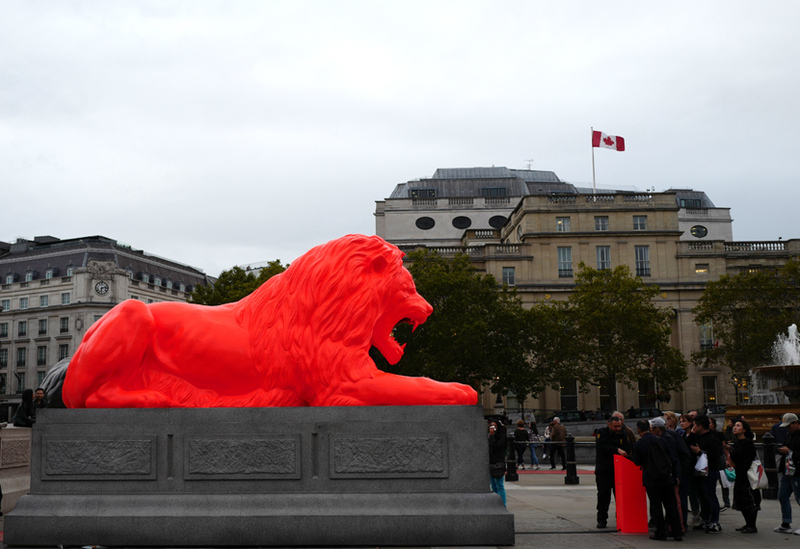 The fluorescent-red lion and the ‘5th Plinth’ on which it lay had to look convincingly at home among Landseer’s famous bronze lions atop their carved Dartmoor granite bases. 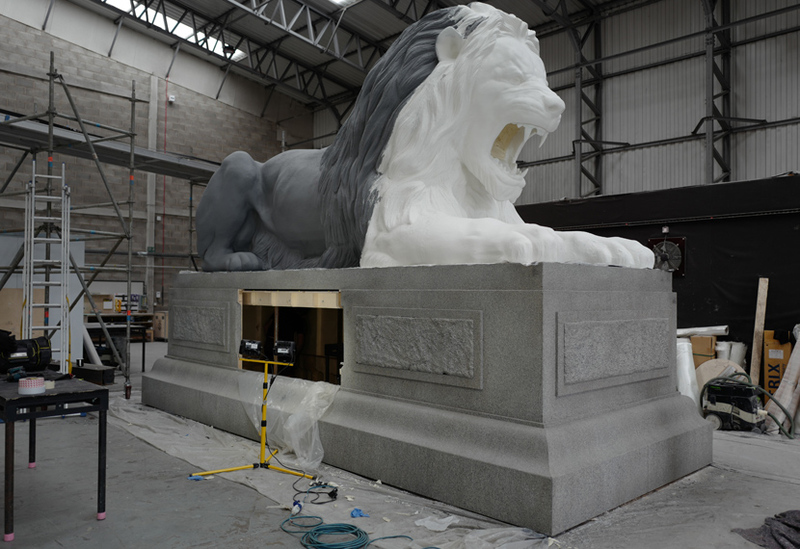 It also had to be installed discretely, overnight and without the use of plant. 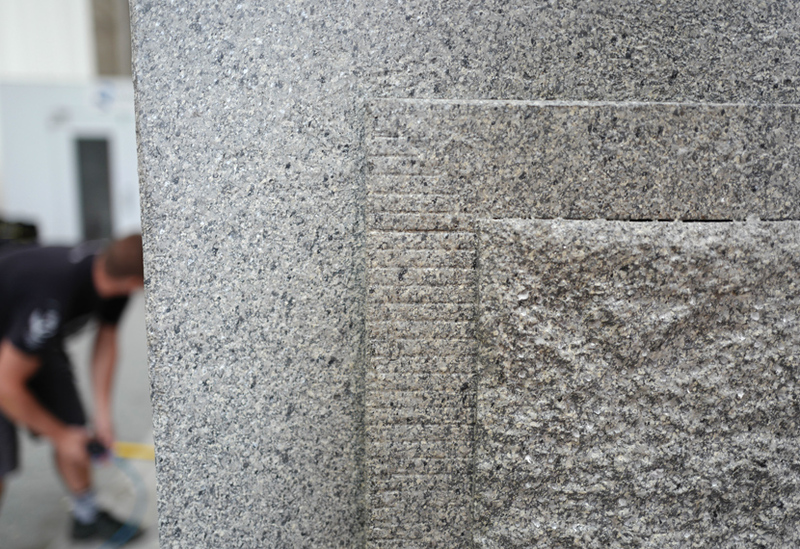 We created a 6.6m trucking steel sub-frame which was clad in ply and scenically finished to replicate the rough granite texture and grooved radial carvings of the Landseer plinths. 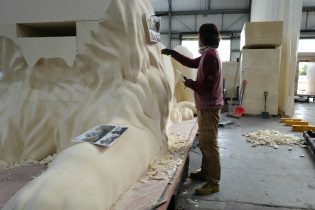 Hardware for the special effects was concealed inside. 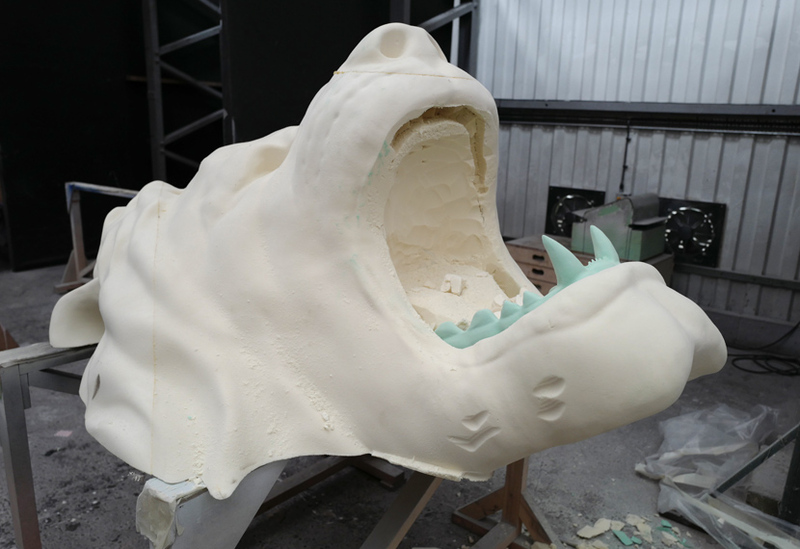 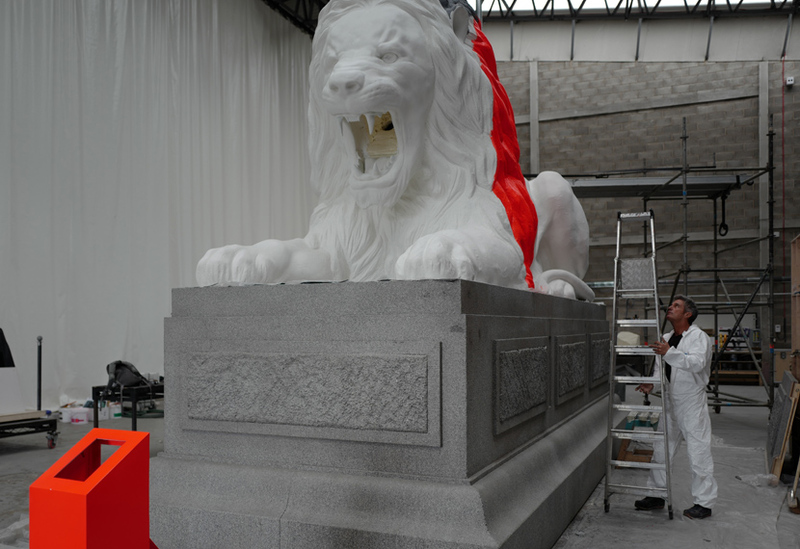 On top, the carved lion was created from 12 blocks of high-density foam, shaped by our large volume 5-axis CNC facilties and hand-finished to achieve fine detailing and the texture of bronze. 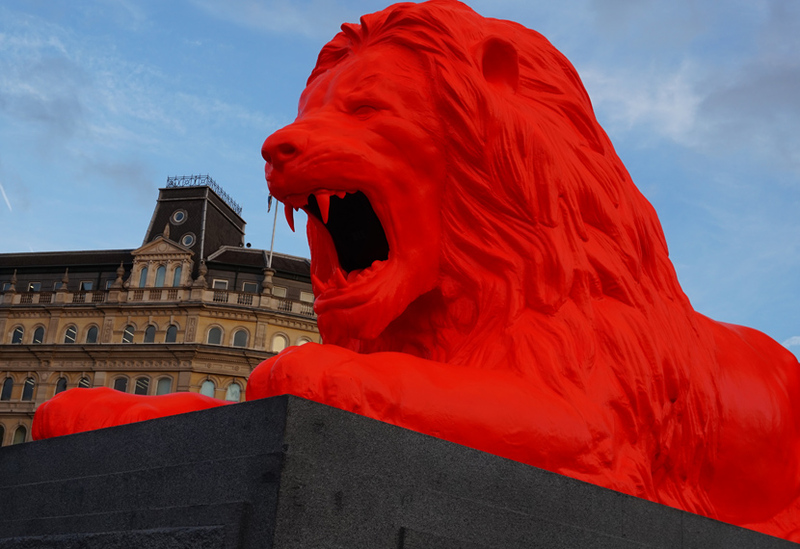 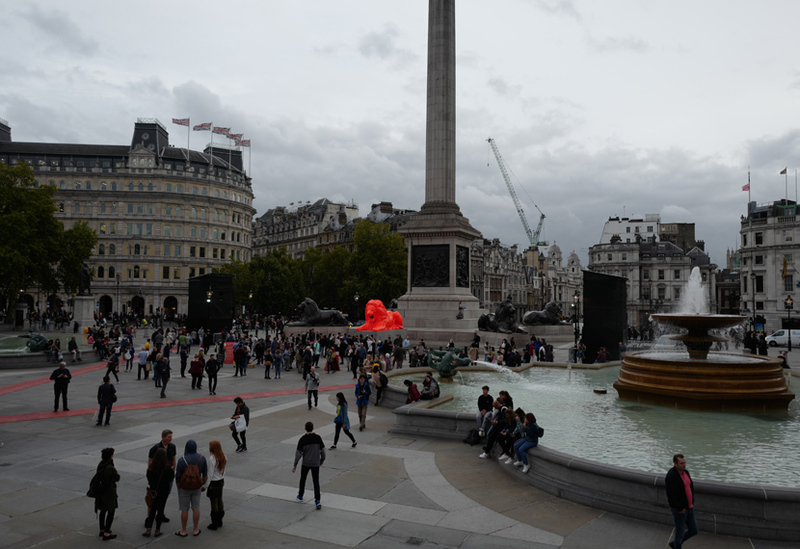 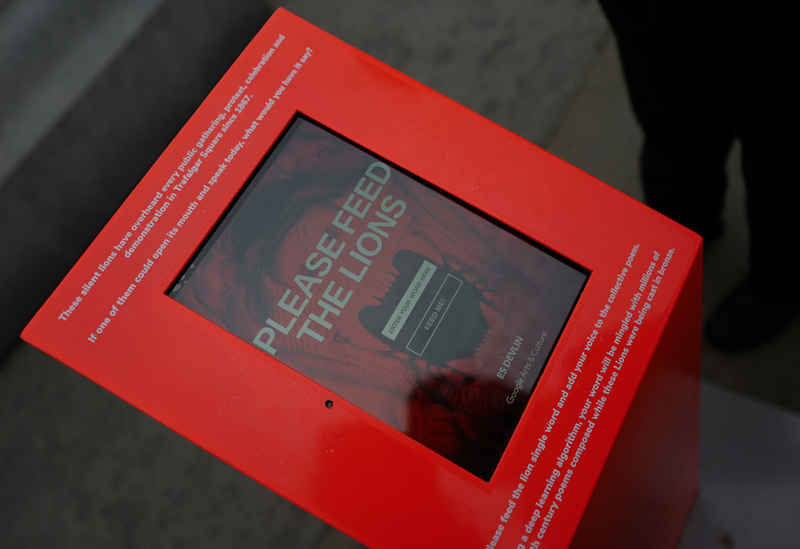 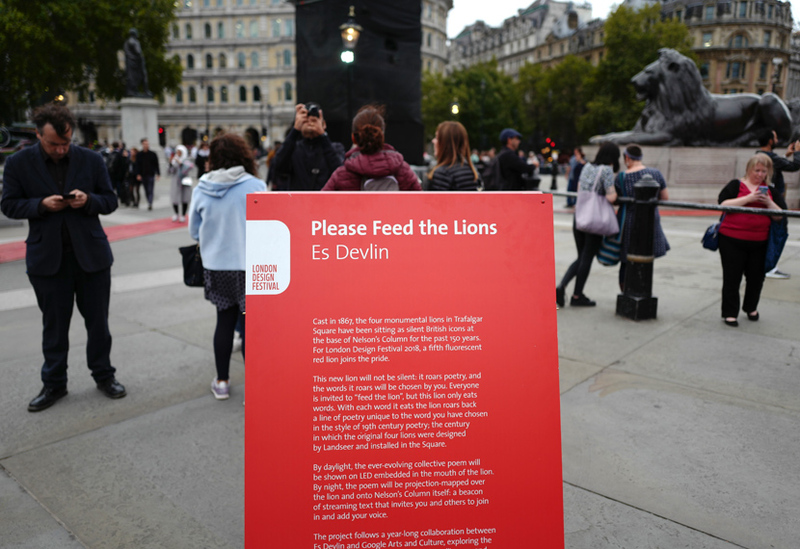 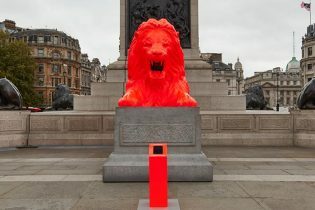 The luminous, fluorescent-red paint finish sang out against the grey stone of Trafalgar Square, encouraging visitors to feed words to the open-mouthed lion via a touch screen mounted within a lectern. 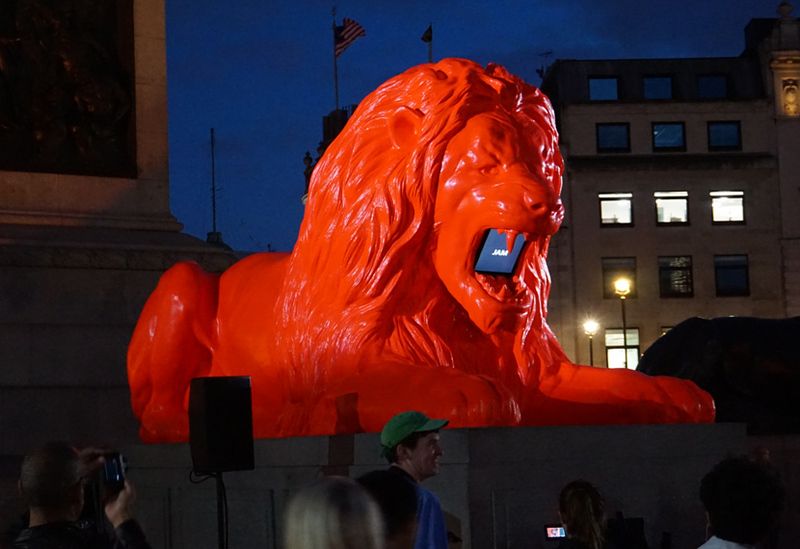 The words and selected poetry appeared on a monitor mounted in the lion’s mouth and at night, projected up the full height of Nelson’s Column. 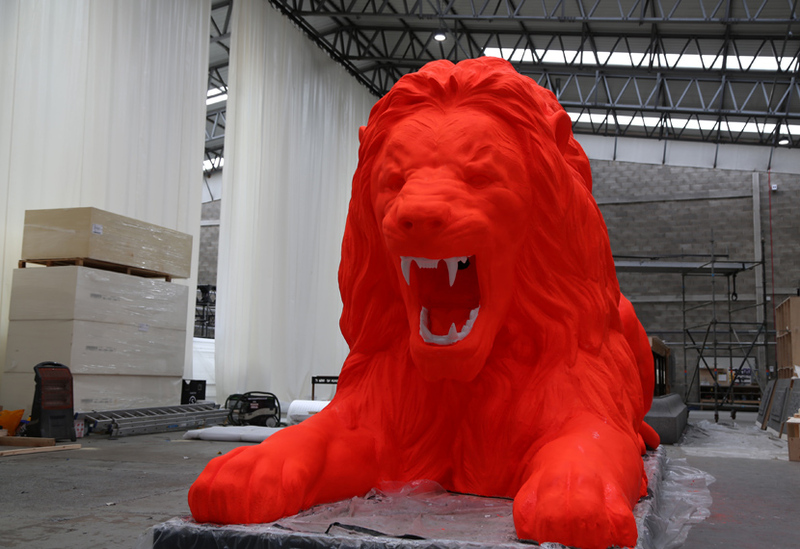 Watch the ‘making of’ video.